Richard signed his second-round tender Wednesday, Field Yates of ESPN reports. 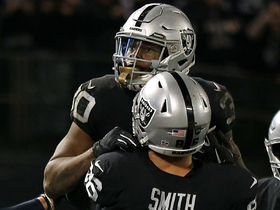 Richard is expected to return to the Raiders on a one-year deal worth $3.095 million after the team placed a second-round tender on the running back Thursday, Tom Pelissero of NFL.com reports. Richard rushed for one yard on three carries and caught two passes on as many targets for 17 yards during Sunday's 35-3 loss to the Chiefs. Richard (ankle) was a full participant in Thursday's practice. Richard (ankle) was limited at practice Wednesday, Michael Gehlken of the Las Vegas Review-Journal reports. Analysis: Richard's status will be updated over the Raiders' final two practices of the week, but he'll likely work in his usual change-of-pace role in Sunday's season finale against the Chiefs if his ankle proves to be a non-issue. While working behind Doug Martin for much of the season, Richard has offered a degree of PPR utility while routinely ranking as a prominent option in a beleaguered Oakland passing attack. Richard accounted for 11 yards and a touchdown on four carries, along with four receptions for 40 yards during Monday's 27-14 win against the Broncos. Richard carried four times for nine yards and caught five passes for an additional 67 yards during Sunday's 30-14 loss to the Bengals. Analysis: Richard did next to nothing on the ground, but he made an impact as a receiver, finishing second on the team in targets, catches and yards. His involvement in the passing game had been suppressed in recent weeks, so it was a good sign to see him included in the gameplan once more. Richard's role seems secure over the final games of the season, and he'll look to remain involved as a pass catcher next week against the Broncos. Richard (ribs) wasn't listed on the Raiders' injury report Wednesday. Analysis: Richard's minor rib injury didn't seem to impact his role during a 24-21 win over the Steelers on Sunday, as he gained 29 yards on nine touches while handling a 49 percent snap share. He gets a friendlier matchup in Week 15 with the Raiders traveling to Cincinnati. 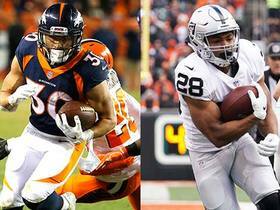 Richard injured his ribs during Sunday's 24-21 win over Pittsburgh, but coach Jon Gruden expects the running back to be okay, Michael Gehlken of the Las Vegas Review-Journal reports. Richard tallied 95 rushing yards on six carries with one lost fumble, adding three receptions for 31 yards during Sunday's 40-33 loss to Kansas City. Richard gained one yard on his lone carry and caught two of four targets for 15 yards in Sunday's 34-17 loss to the Ravens. Analysis: Richard hadn't been dealt less than four touches since playing just eight offensive snaps in Week 2, so his lack of involvement Sunday came as a bit of a surprise especially given the game flow. 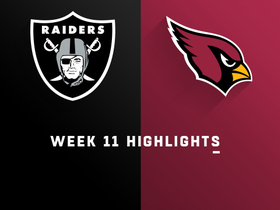 The Raiders spent the entire second half in comeback mode, but rookie receiver Marcell Ateman hogged a majority of the looks from quarterback Derek Carr with 10 targets. Oakland could be playing from behind again in Week 13 against the 9-2 Chiefs. Richard amounted 61 yards rushing on 11 attempts, adding three catches for 32 yards during Sunday's 23-21 win against Arizona. Richard rushed three times for seven yards and added 52 more while hauling in five of his six targets in Sunday's 20-6 loss to the Chargers. Analysis: Richard led the team in receptions for the second straight week, thanks once again to garbage time. 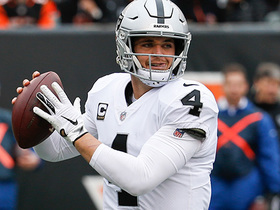 The 25-year-old saw just one of his targets in the first half, but as long as the Raiders are playing from behind most weeks, he should continue to compile numbers via second-half dump-off passes, and he did here. The Southern Mississippi product has at least four catches and 45 yards in each of his last five games, all blowout losses. 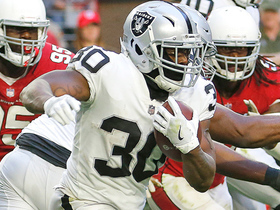 Richard rushed twice for four yards and brought in all four of his targets for 45 yards in the Raiders' 34-3 loss to the 49ers on Thursday. 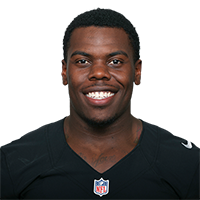 Oakland Raiders running back Jalen Richard rushes for a 3-yard touchdown. Oakland Raiders quarterback Derek Carr floats a perfect pass to running back Jalen Richard for a 32-yard gain. 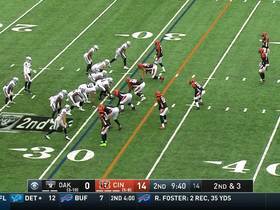 Cincinnati Bengals cornerback Darqueze Dennard rips the ball away from Oakland Raiders running back Jalen Richard and the Bengals recover. 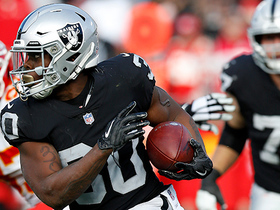 Oakland Raiders running back Jalen Richard stops on a dime, darts for 30 yards. 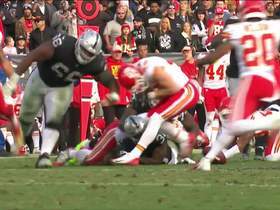 Kansas City Chiefs safety Daniel Sorensen recovers Oakland Raiders running back Jalen Richard's fumble. 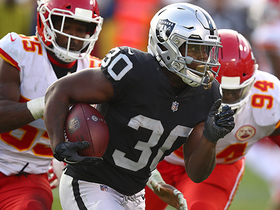 Oakland Raiders running back Jalen Richard rushes along the sideline for a 24-yard gain. 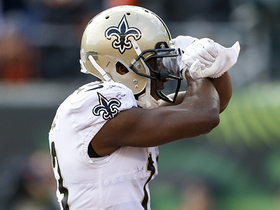 The "NFL Fantasy Live" crew offers up their top starts for Week 11.